I went looking specifically for this stall when i was at the food centre for a late lunch. I remember seeing someone posted pictures of their Fried Oyster and it looked tempting. I spotted Simon Poh, the owner, stood right outside his stall, chatting with some friends. I approached him to order a portion of Fried Oyster for $5.00. Then, i walked a little farther and brought out my camera to take a picture of their stall. I walked back to wait at the stall for my plate of Fried Oyster to be ready. Simon said, jokingly, 'Miss, if you want to take a picture then you have to take a picture with our boss.' He pointed to an elderly man that was seated at the table just in front of their stall. I said, "I just take the picture to keep for memories sake just in case i forget where i eat." I also mentioned that i ever came across pictures of Fried Oyster from their stall and it made me to travel here just to try it. His wife, Joey Lim, said, "You might want to take notice of our operating hours as we have break in between". She pointed to that part of their signboard which has their operating hours indicated. And, she said, "We have been operating in this food centre for 9 years". 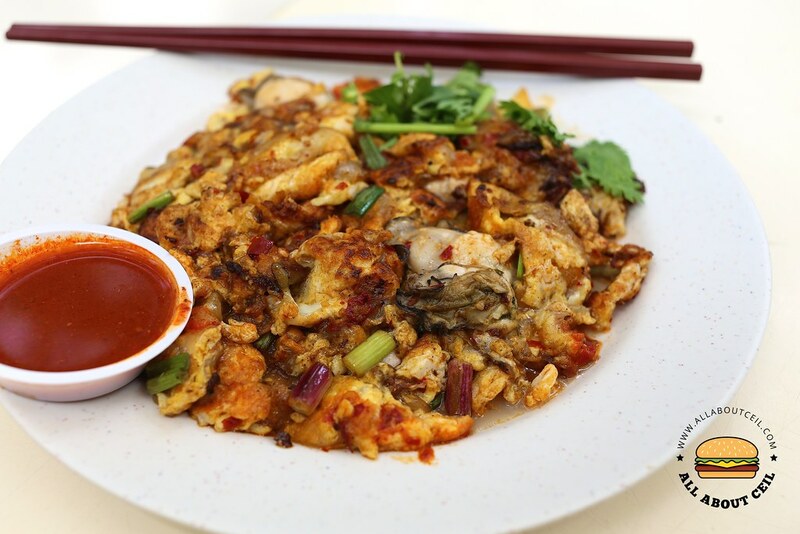 Other than the Fried Oyster at $5, $8 and $10, there is also a more traditional version known as Tang Shan Fried Oyster at $5, $8 and $10, the texture is slightly softer and more moist as compared to the usual Fried Oyster. 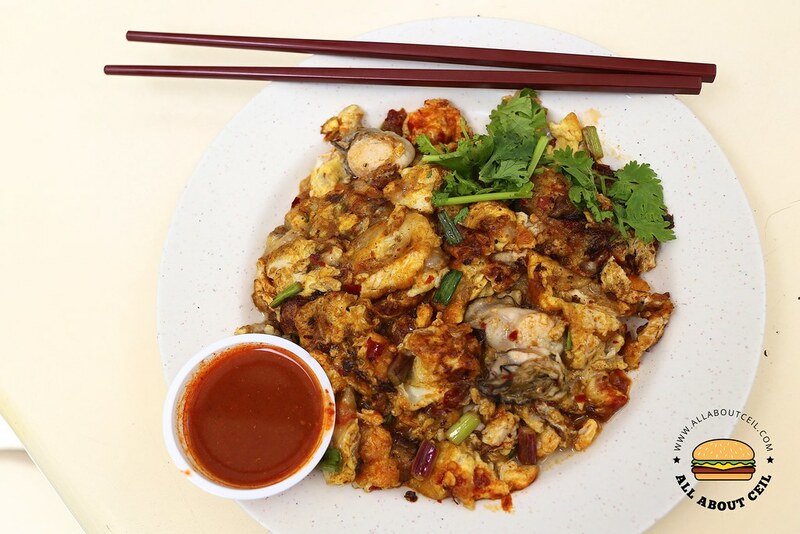 There is also Oyster Omelette for $6, $8 and $10. 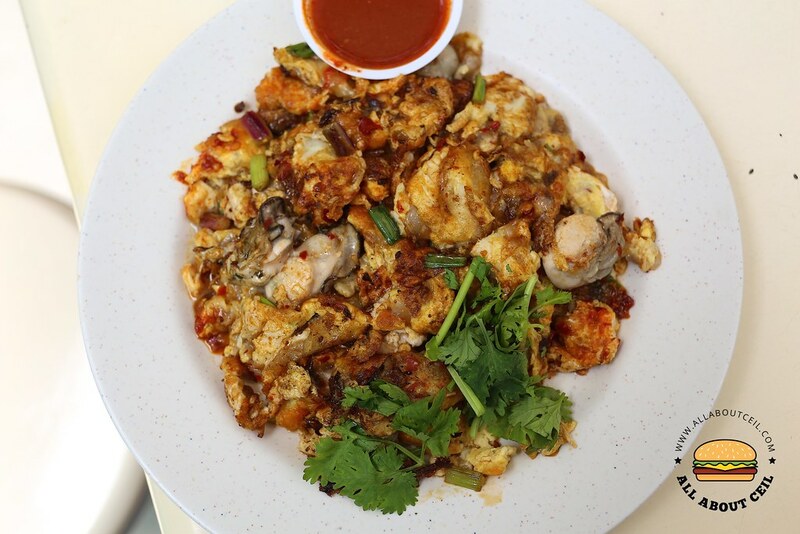 There is actually a difference between Fried Oyster and Oyster Omelette as the latter is served with purely egg, leaving out the tapioca starch. 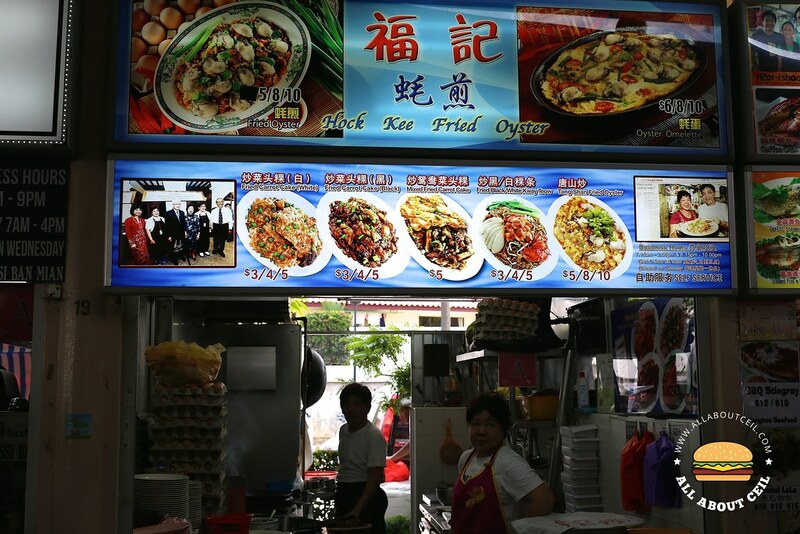 They do also serve Fried Carrot Cake (White and Black) at $3, $4 and $5, Fried Kway Teow at $3, $4 and $5. When i shown this picture to a friend, he actually commented, "Are you sure that you get this portion for just $5?". I would have to agree that the portion is indeed quite generous. There were a few plump oysters in it with a really good portion of egg added. Its texture reminded me of the other Fried Oyster by Lim's Fried Oyster at Jalan Berseh Food Centre as i tasted certain similarities. It is slightly wet, a little gooey, served with a good amount of egg that retained its fluffiness and was slightly crisp at those edges. You could actually make a request if you like it crispier. Though this might not be the best Fried Oyster that i have ever eaten but it is definitely amongst the best so far. This will be amongst those places that i will be when i am wanting a plate of Fried Oyster next time.